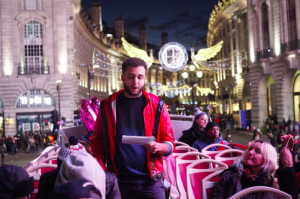 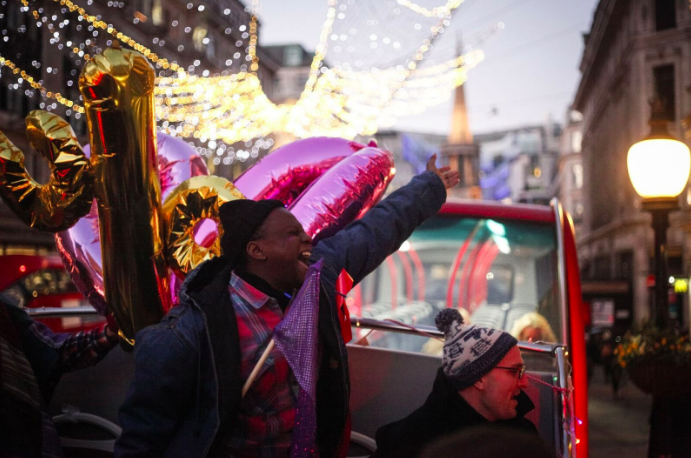 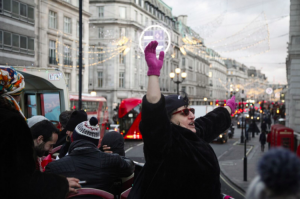 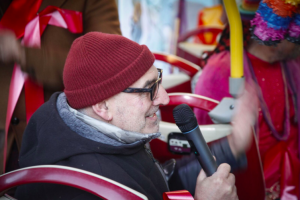 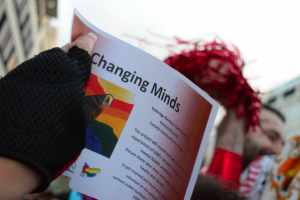 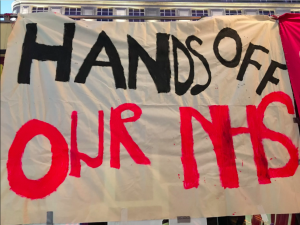 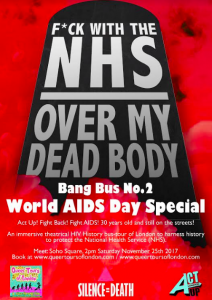 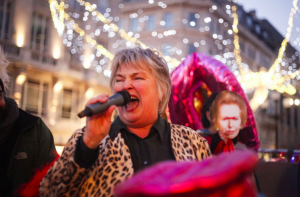 On Saturday November 25th an open-topped double-decker bus draped in ‘Hands off Our NHS’ and ‘Tories Don’t Die of Ignorance’ drove around Soho as an immersive theatrical anti-stigma bus-tour journeying through the decades and places to bring the history of HIV+ in London to life. 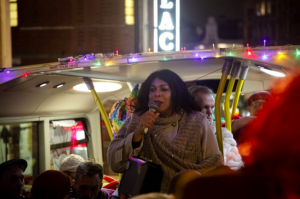 The Bang Bus exists to show gratitude for those who gave selflessly through challenging times, to demand a permanent HIV / AIDS memorial and to support the many minority communities face very specific issues that are still neglected. 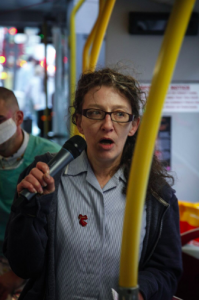 High-profile pop-star Lana Pellay, along with other celebrities, performers and dancers involved in HIV+ advocacy, nurses, doctors and healthcare workers shared and performed to the audience on the bus about life on the frontline of the National Health Service (NHS). 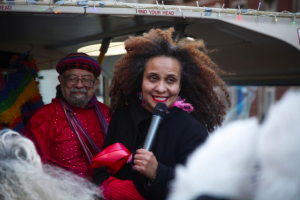 Above all the BANG BUS – World AIDS Day Special was a sacred place for people to share love, loss, hope and solidarity to continue to weave our stories together and continue to strengthen the journey to end the HIV / AIDS pandemic. 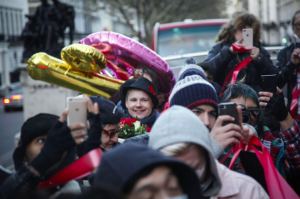 Thank you to everyone who made it happen! 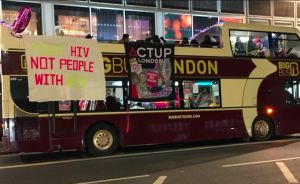 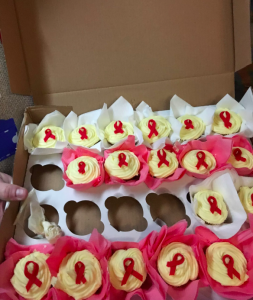 Read more in the Bang Bus – World AIDS Day Special Press release here and here Blubbering with love for Dean Street Sexual Health Centre – Come celebrate at the BANG BUS. 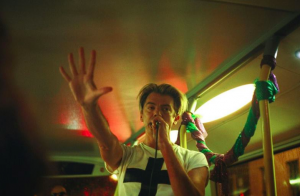 All photo credits to Holly Buckle. 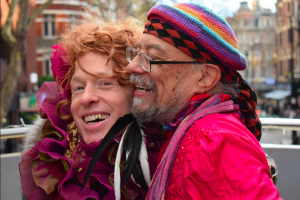 ” In the good old times of Gay Lib we talked a lot about having a retirement home for old acid queens, one with wide corridors we could whizz around on our electric wheelchairs hidden beneath our crinolines. 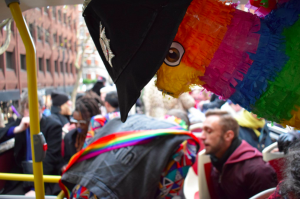 But never in the plague years that followed did I ever imagine boarding a Queer Tours of London mince through time, AIDs Bang Bus, to visit those places where we said goodbye to so many of our nearest and dearest. 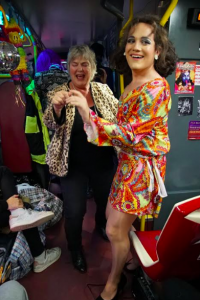 A bus with Fabulous Hostesses to entertain us, play quiz games and encourage us to share our memories. 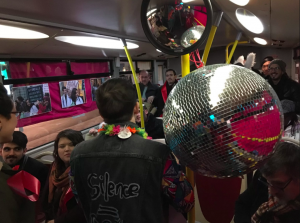 A mystery tour that three hours earlier picked up a bunch of strangers, set down a group of friends.” Gay liberation Front activist. 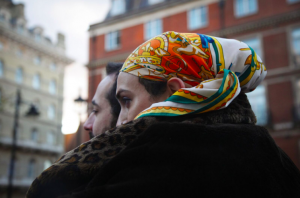 “On Saturday I felt again the solidarity that saw us through the worst of the plague. 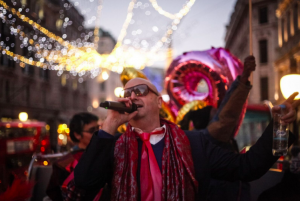 Charming, anarchic and community based. 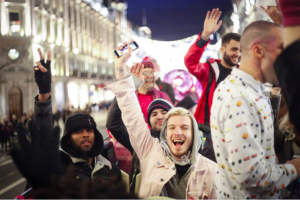 ← Queer Tour of Hackney – This Saturday November 25th! 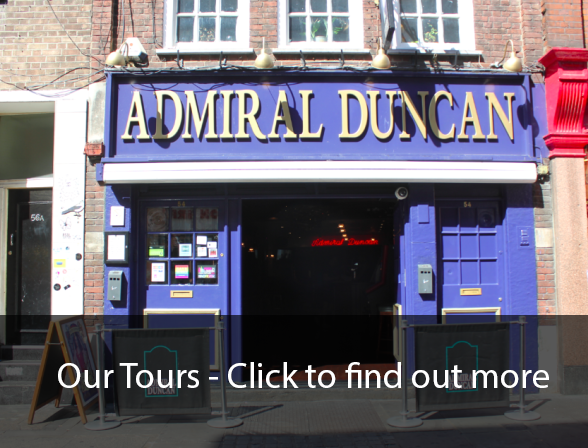 Book here or just turn up!